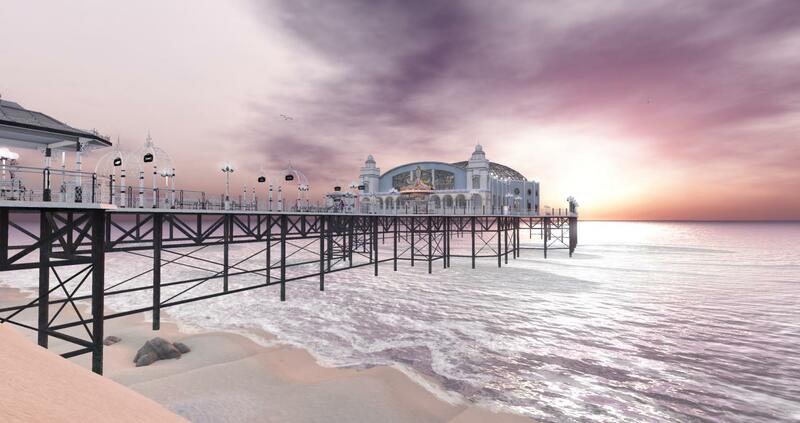 On 1st March, The Arcade officially opened it’s doors for the March 2019 round in Second Life. This month’s gacha event features 100 of the grid’s best designers and builders. There are high quality prizes at the various gacha machines within the Arcade which are worth getting. The March 2019 event sponsors > Concept, The Forge, Insomnia Angel, PewPew!, Raindale, and RealEvil Industries. Set in a seaside build that evokes the whimsical feel of the penny arcades of early 1900’s Coney Island and Brighton Pier, The Arcade strives to present a nostalgic atmosphere that welcomes an audience seeking great gacha prizes, and continues to be a favorite destination for photographers and enthusiasts of vintage architecture. With events planned in June, September, December and March, The Arcade features an eclectic mix of designers with proven quality. Content creators are invited because of their demonstrated commitment to the quality of their merchandise and unique perspectives as artists. The result is a well-rounded collection of must-have attire, goods and novelties to delight and enthrall shoppers. Guests will discover there’s something special for everyone at The Arcade. Please spread the word about The Arcade March 2019 round. Event ends on 31st March 2019. 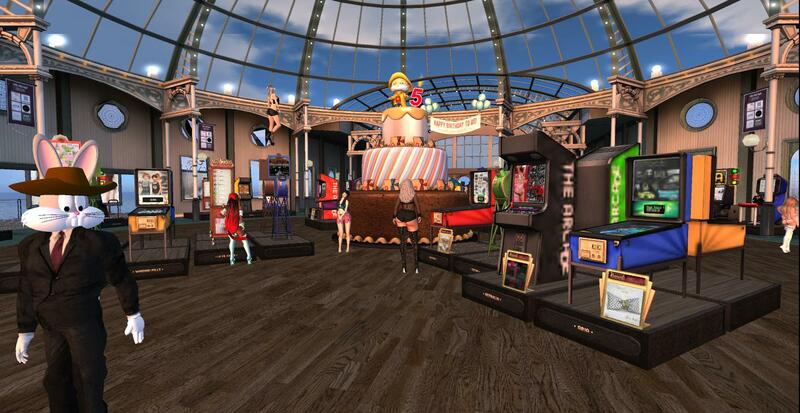 This month marks The Arcade fifth birthday since it was first opened back in 2012 in Second Life. The Arcade is now open for the September 2017 round which runs through until the end of the month. 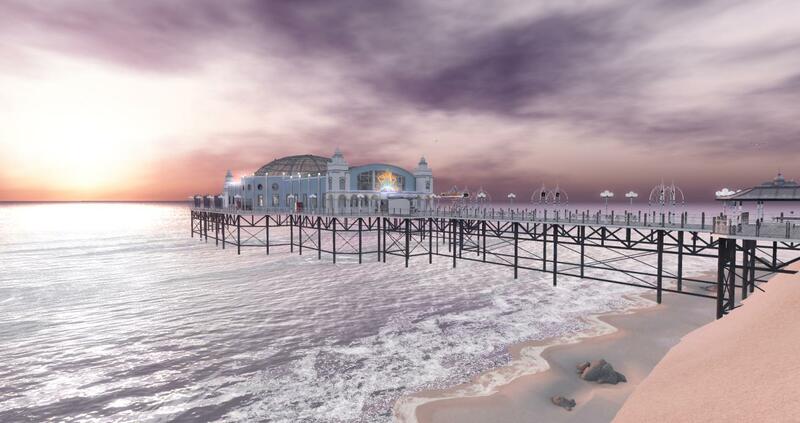 The annual event is now the largest gacha event in Second Life and hosts 108 individual machines at the main pier. It’s our birthday – but the gifts are for you! 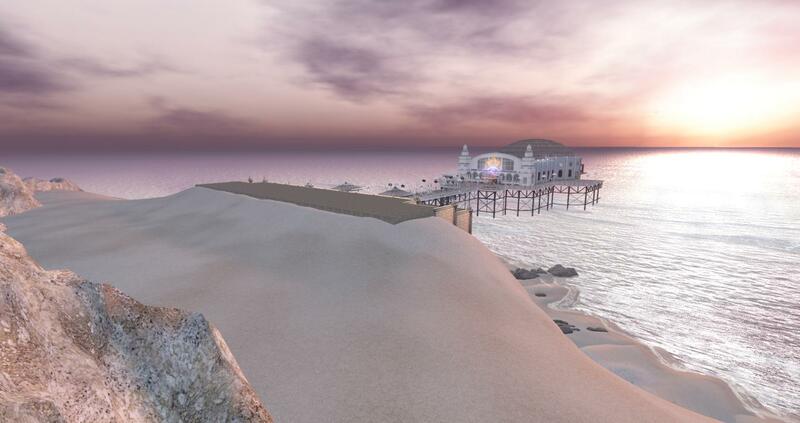 In 2012, a couple of friends bonded over their shared love of gacha in Second Life®. In September of that year, they hosted the first round of The Arcade. 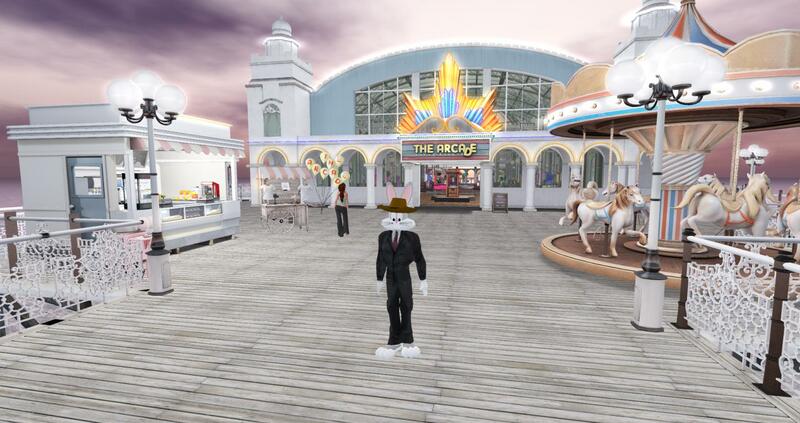 Since then, the event has grown into the largest gacha event in Second Life. What’s more – it wouldn’t be a party without presents! 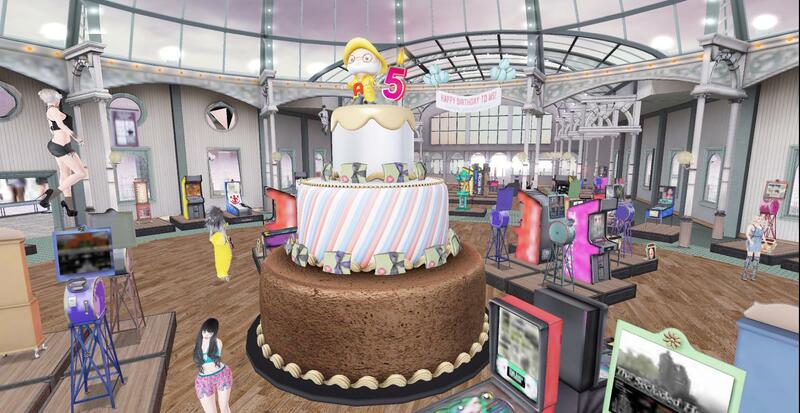 In the center of the Arcade you’ll find a giant birthday cake festooned with gifts from many of our brands. You can have them all! It has been our honor to serve gacha fans all over the grid for five years running. The Arcade opens on the 1st of September. We’ll see you there! 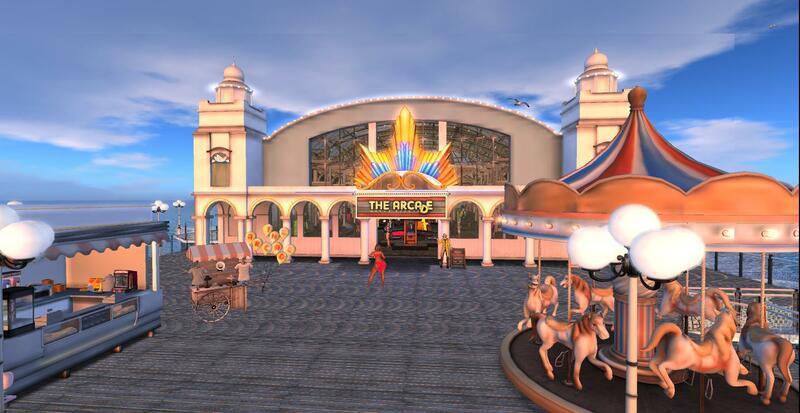 Today I went to visit The Arcade in Second Life to look around and enjoy the lovely scenery. The Arcade is open through until Friday 30th June 2017. If you have not yet visited The Arcade before then I strongly recommend it. The Arcade is a busy destination around the clock so I recommend visit during non peak hours for a better experience. There are three Arcade regions to teleport into this year. At the starting area there is a wall of Second Life names that have represented an international choice of generosity that have shown support over the years. 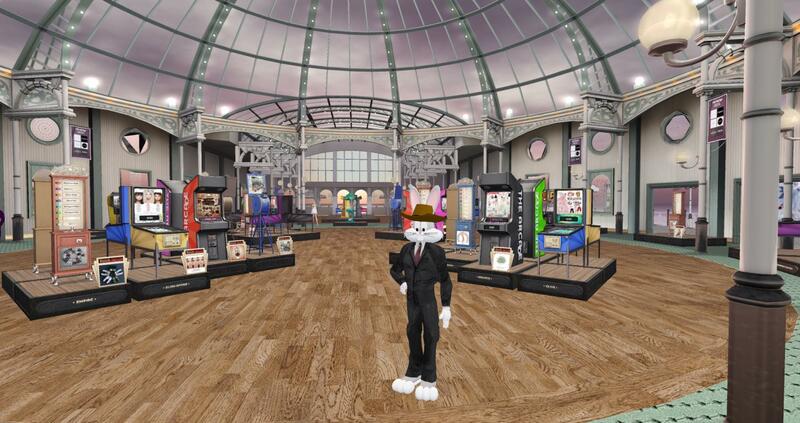 I think this is really cool and it reminds me of the Second Life Beta Contributor Wall. 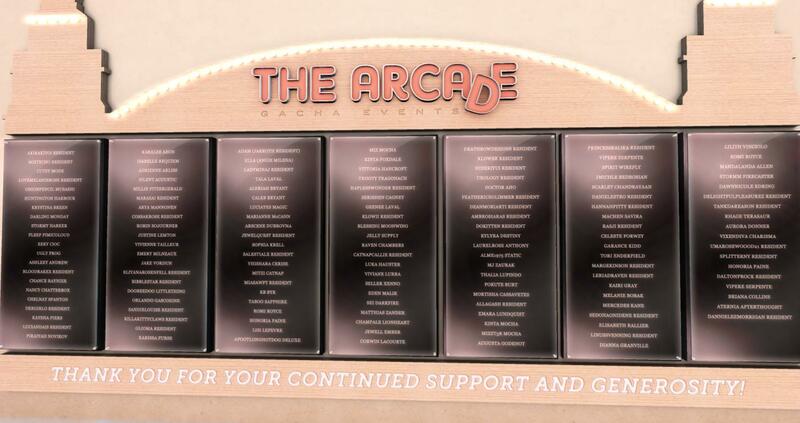 The Arcade was founded in September 2012 featuring over 100 of the grid’s best designers and builders. The Arcade opens in March, June, September and December every year. There is a nice food & drink concession stand on the left with a fun spinning carousel on the right side outside of the main Arcade area. Once inside The Arcade there are many interactive gacha machines to collect many high quality prizes with so much more to discover. What will you discover at The Arcade ? 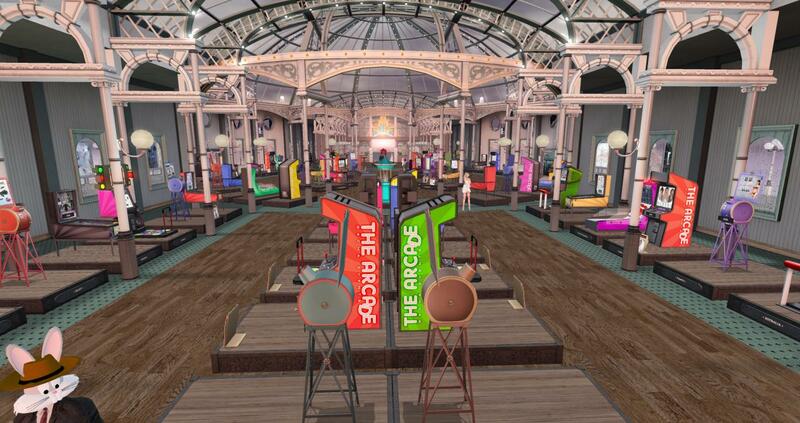 Great news is that The Arcade June 2017 round is now officially open in Second Life featuring over 100 of the top designers and builders on the grid. The Arcade runs through until the 30th June 2017. 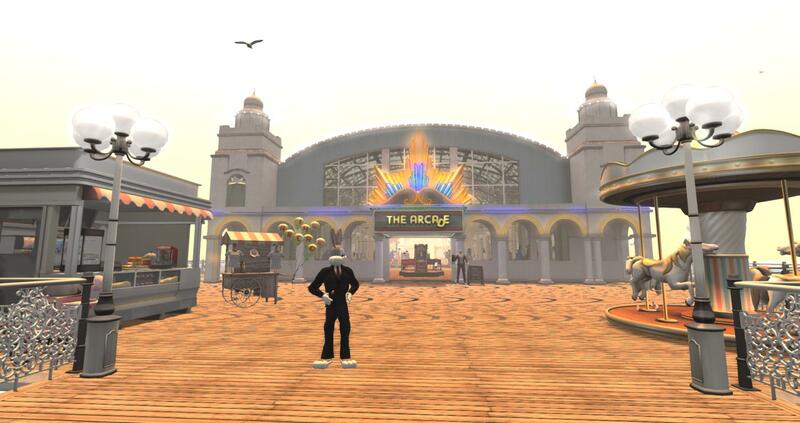 The Arcade is a lovely busy destination set in a seaside build that feels like the arcades of the early 1900s. The Arcade was founded back in September 2012 by Octagons Yazimoto, Katharine McGinnis, Emery Milneaux and Umberto Giano. 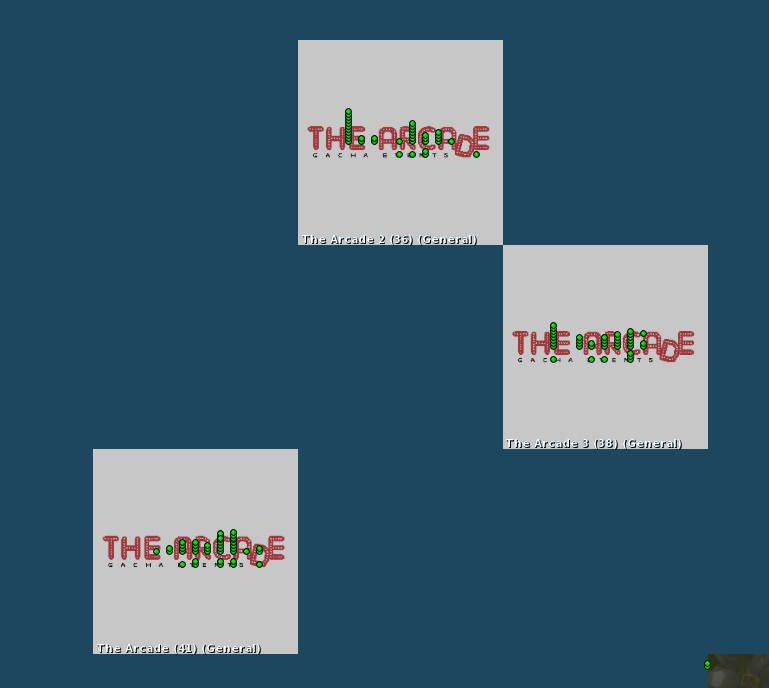 This year there are three Arcade regions on the grid for the event. Due to high region traffic you may have to wait some time to access them. The Arcade will be celebrating it’s 5th anniversary in September 2017 and it’s going to be awesome. I will blog more when more details come available.